The Ministry of Equal Opportunity of the Brussels Capital Region has selected DLI to lead a seminal campaign engaging Brussels adult and teenage women* in addressing cyberviolence in their communities. In Fall 2015, DLI will carry out several inQube – female digital accelerator workshops to build awareness about the growing problem of online violence, bullying and hate speech, and provide girls and women with skills and resources for tackling this problem. 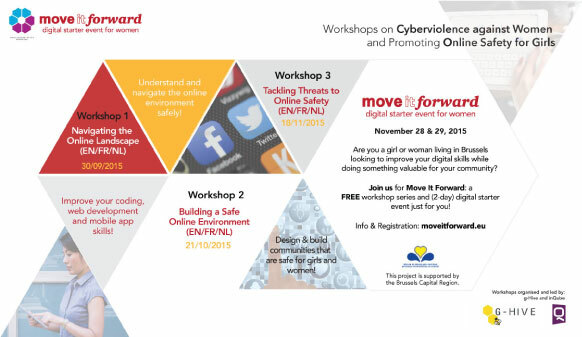 Six workshops will be held at DLI headquarters in Brussels from September through November 2015, culminating in the 28-29 November global launch of a Move It Forward digital starter event for girls and women focusing on Cyberviolence. The events of the Move It Forward project are open to the public, and carried out in English, French and Dutch. Attendance is free but space is limited so registration at the noted links is required. To partner with us or sponsor the DLI “Move it Forward” Cyberviolence campaign, roundtable or digital starter event, please contact us! 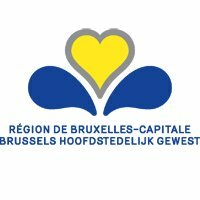 The 2015 Move It Forward project on Cyberviolence is supported by the Ministry of Equal Opportunity of the Brussels Capital Region.